« StarBar the ultimate brand extension. Imagine getting the latest fashion trends from this month’s Elle on your iPhone for FREE! 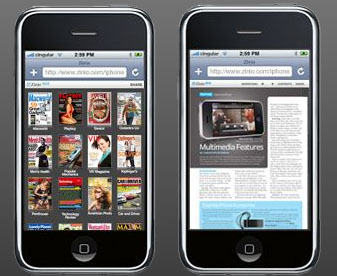 Digital magazines are the way of the future and Zinio Labs has created a mobile newsstand easily accessed online. Another perk for standing in line for the 3G iPhone?